Meet Gwenell Brown! 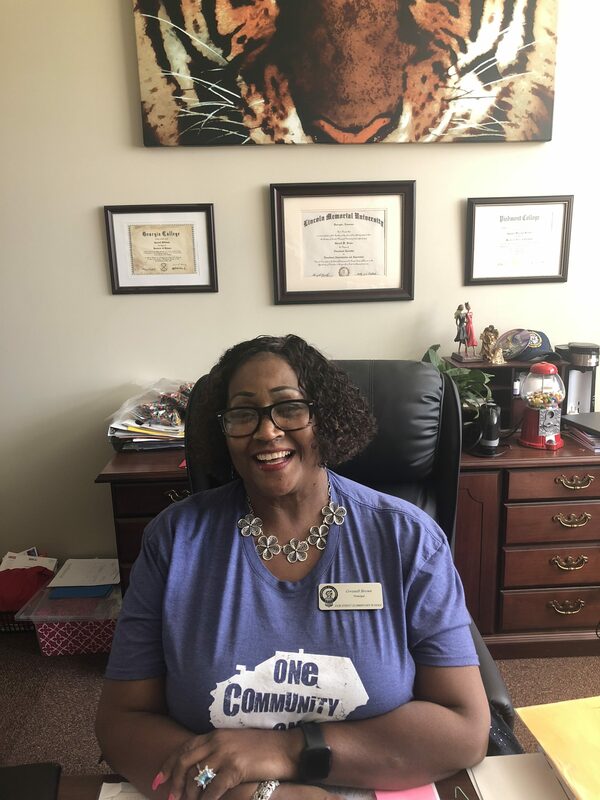 Gwenell is the principal at Fair Street Elementary in Gainesville and longtime Hall County residents. She is a wife and mother who grew up in Gainesville and only left Hall County during her time at Georgia College. Gwenell said her favorite thing about Hall County is the close knit community. “It is still small enough to be a close knit community. We pull together if there is something that needs to be done,” she said. We want to thank Mrs. Brown for recently sitting down with us and telling us more about her life and love of Hall County. Question: What inspired you or lead you to your current career? Q: What is your favorite restaurant in Hall County, and what do you love there? Q: How long have you lived or worked in Hall County? Q: Who is the most interesting person you’ve met here in Hall County? Q: If you could travel anywhere in the world right now, where would it be? And why? Q: What is your favorite movie or what is the first movie you remember seeing in a theatre? Q: What advice would you give a crowd of people? Q: What is your favorite music/ 3 bands you would like to see (dead or alive)? Q: Choosing anyone alive and a non-relative: with whom would you love to have lunch? Why? Where is Hall County would you have lunch? Q: What is your favorite thing about Hall County? Q: Where do you see yourself in five or 10 years? Q: (Even for friends or family), what is something interesting that most people don’t know about you? Q: What three words or phrases come to mind when you think of the word HOME? The Faces of Hall County is a project to showcase the amazing people that live or work in our community. If you would like to nominate an interesting person to be featured please email babernathy@gonorton.com. would love your Faces nominations.